As the self-balancing electric scooter business thrives, many online stores and physical stores sprung up overnight. Fosjoas Technology Co., Ltd aggregates software and hardware research, manufacturing and sales system with our core R&D team of 20-plus members coming from the U.K, Germany and the U.S and rich in experiences of advanced green transport means. Through 3 years of arduous effort, Fosjoas team has successfully developed the first electric unicycle and holds over 100 patents and intellectual properties to our name currently. The great popularity first boils down to its dashing and stylish design. Young men account for the majority of customer base of FOSJOAS intelligent self-balancing scooters. They go after fashion and vogue. In order to cater to their likings, Moben Global Inc. feels obliged to fabricate stylish models. It is key to expanding its business so as to take up more share of market. However, the mere presence of stylish appearance is not sufficient at all which can not satisfy more consumers' demands. The quality and performance make the brand of FOSJOAS self-balancing scooters. Even FOSJOAS electric walkcar bumps into the stone, it will not break down. The special PC material stands up to the outer impact, effectively protecting inner circuit from the damage. Also, the protection systems guarantee a carefree and safe riding. When the tilting protection activates, the buzzer will launch long beeps and the LED indicator on the power button will flash continuously. The control system will stop you from further accelerating by beeping and rising the front end of pedal. 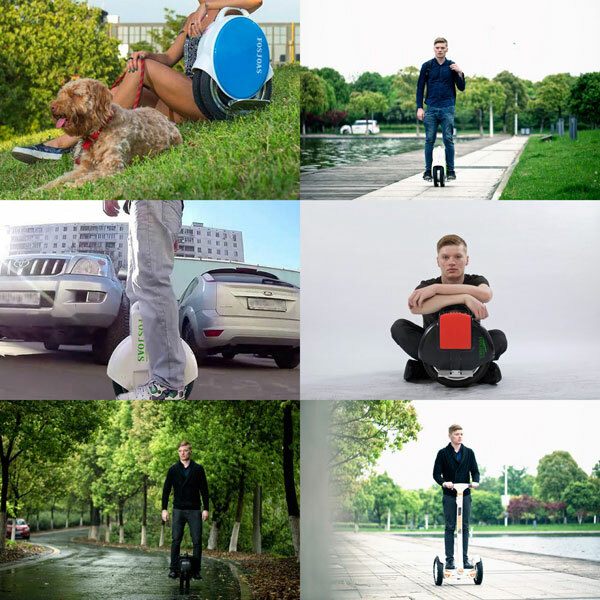 The most laudable is FOSJOAS unicycle electric's battery, which offers a strong thrust and a long range. The battery features numerous recharge times, 3.8 times life expectancy and 2.9 times duration of ordinary lithium batteries. Just ride along without worrying about battery burning or explosion. Previous：How to Become a Talent of Riding Fosjoas V6 Single-Wheeled Electric Scooter?